By Oisin Gregorian | May 3, 2011. The lads of St Catherine’s boxing club were delighted after local businessman Poddy Ryan recently offered them one of his properties to train in. St Catherine’s boxing club currently train at the Marrowbone Lane Community Centre, Dublin 8. But hours are restricted and the move to the new venue will allow members more time to practise their skills. The club’s new home will need to be refurbished before it can be used. 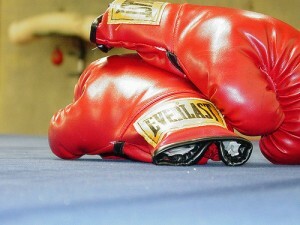 “We are going to need a good deal of money for materials,” said St Catherine’s boxing coach Ronnie Byrne. However everyone is pleased about the new premises. “There are not too many people that would do what Pody did so we are very grateful to him,” added Byrne. The club plans to hold a number of fundraisers to raise the needed money to improve the facilities of the new building which will benefit not just the club, but the youth of the area.